This gorgeous home is located on the 13th Fairway of Elephant Rocks Golf Course. The home boasts 2089 sq. ft. with 3 bedrooms and 2.5 bathrooms. 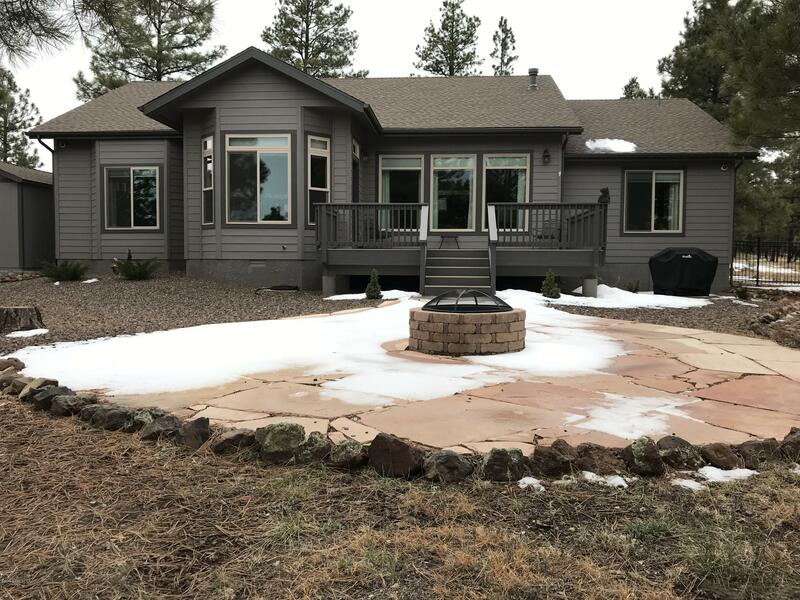 As you enter this beautiful home you are greeted with 10' ceilings,wood laminate floors, an amazing view of the Ponderosa Pine Trees overlooking the Golf Course. The open floor plan allows for great space as you move into the kitchen with granite counter tops, island and upgraded GE Profile Appliances. Including a Induction stove top & double ovens. The spacious breakfast nook leads to the large deck over looking the 13th fairway and surrounding mountains. The floor plan is split with two guest rooms and a shared bathroom. On the way to the Master bedroom you will encounter a theater room for movies and entertaining.